Impossible pies are some of the most popular Bisquick baking mix type recipes. Many of us grew up eating them and I can see why because they are so easy to make. Not only are they easy to make, they are also delicious and budget friendly. They can be a main dish, a side dish, or even dessert. And converting them to gluten free is so easy using my basic gluten free baking mix. Today’s recipe is for a simple impossible buttermilk pie. 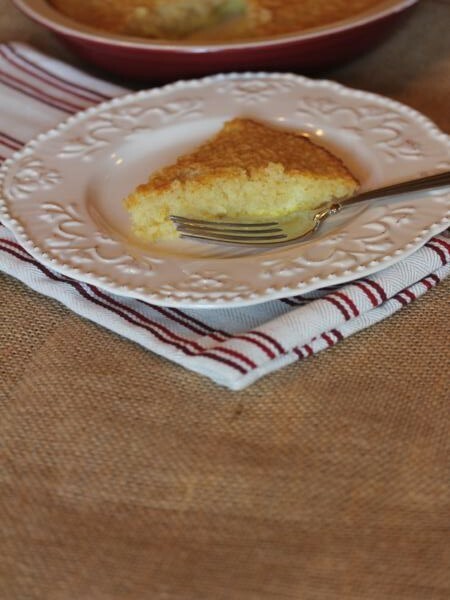 Buttermilk pie is a classic old fashioned pie and it uses everyday inexpensive ingredients. 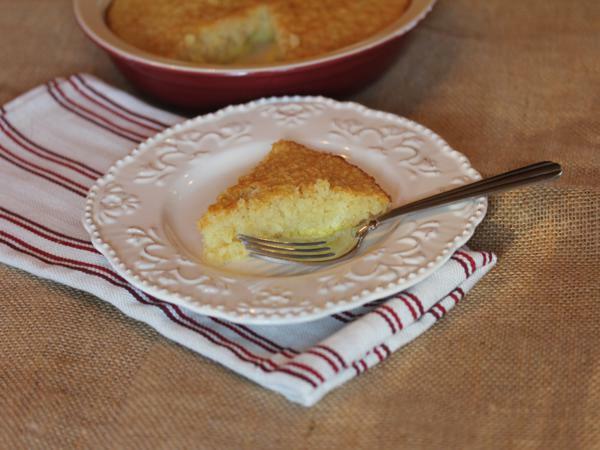 Impossible buttermilk pie takes the basic idea from a buttermilk pie and makes it crustless. And when you use my homemade gluten free baking mix, it is easy to make a gluten free impossible buttermilk pie. We are coming up on the holidays and holiday baking which is often difficult when it comes to eating gluten free. This pie though is a simple pie that is gluten free, but tastes so good that everyone, both gluten free and non gluten free, will enjoy it. Combine all ingredients in a blender and blend until smooth. You can also use a whisk to whisk this together, just be sure to get it smooth. Pour into a greased pie plate. Bake for 30-35 minutes or until pie is set. Serve warm or refrigerate until ready to serve. 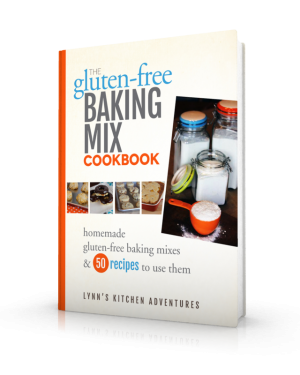 Many of the recipes using my gluten free baking mix are based on recipes that use the mix in the big yellow box. However, most of the recipes need tweaking. They need more water, more eggs, buttermilk instead of water, etc. I have only found a few recipes that it worked exactly right in without tweaking. Today’s recipe in one of them. 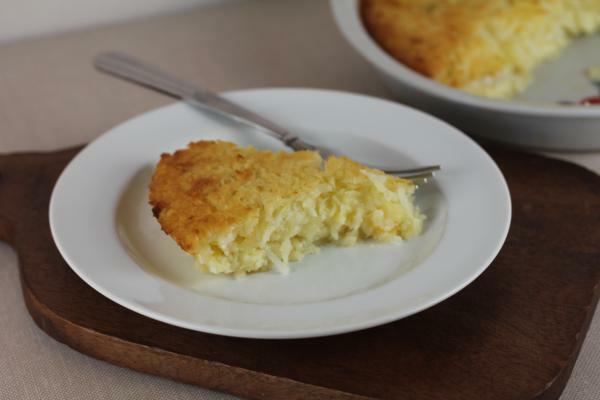 The impossible coconut pie recipe that has been around for years, needed no tweaking and no adapting. Nothing. All you do is use my gluten free baking mix in the recipe. It is that easy. If this pie was a favorite of yours before you went gluten free, you really need to give this a try. 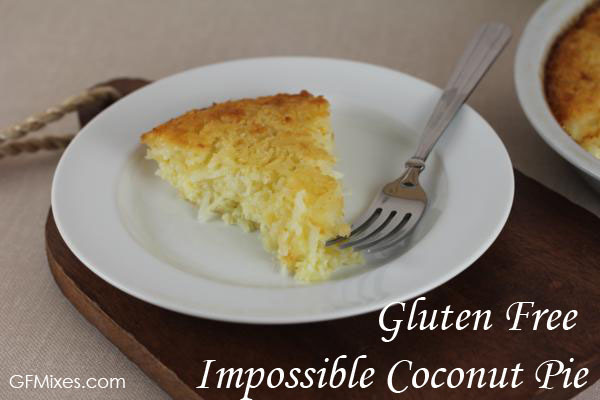 If you have never had the impossible coconut pie, you need to try this. Really try this. It is so easy. So delicious. And it is gluten free! In bowl combine all ingredients and stir until well combined. Pour into a 9 inch pie plate that has been greased. Bake for 50-53 minutes or until knife inserted in the center comes out clean. 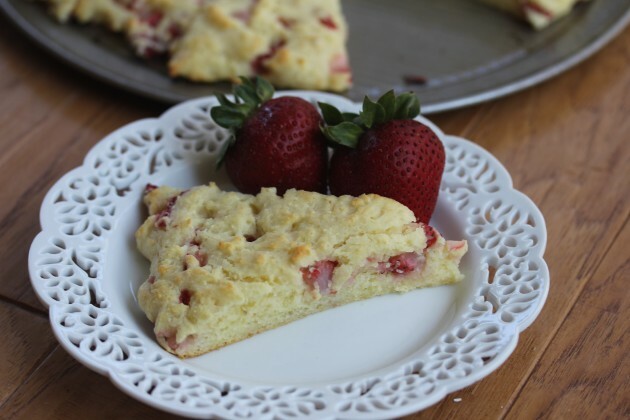 One of my favorite ways to us the basic gluten free baking mix is in breakfast foods. But I guess that might be obvious by the Gluten Free Strawberry Scones and the Gluten Free Strawberry Pancakes I have already shared. What I love about the mix is that it makes breakfast easy. I can have breakfast ready and on the table in no time. 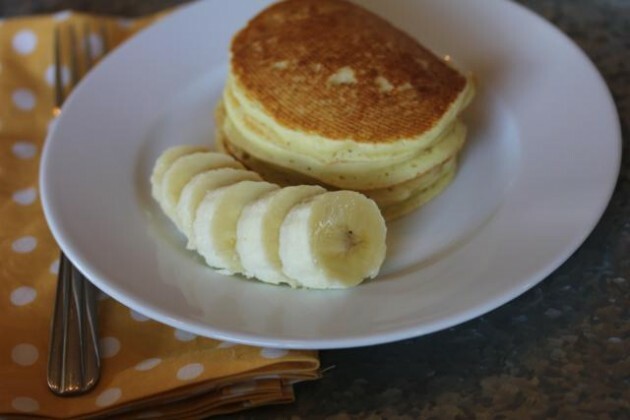 This recipe for gluten free banana pancakes is the same basic recipe that I used for the Chocolate Chip Banana Oven Pancakes in my ebook, but these are made just like you would a regular pancake. I usually leave the chocolate chips out when I make them as regular pancakes, but if you want a special treat feel free to add a few in. 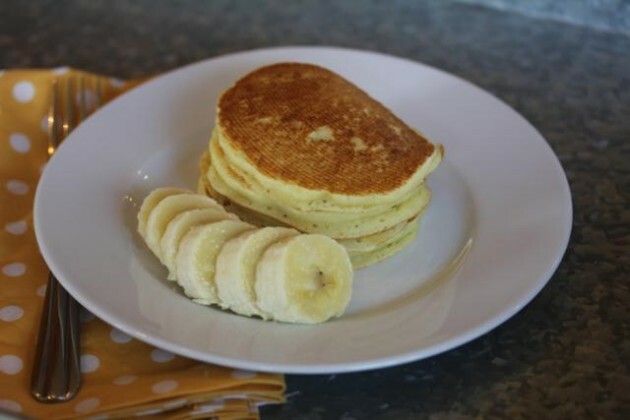 This is a simple and delicious gluten free breakfast that everyone will enjoy! In a bowl whisk biscuit mix, milk, mashed bananas, and eggs until combined. There may still be a few lumps in the batter. Pour batter onto hot griddle or skillet and cook 2-3 minutes on one side then flip and continue cooking until done. I love using fresh fruit in my recipes, especially breakfast recipes. Lately I have been in the strawberry mood. I think that has to do with the time of year and it being strawberry season, but it is also probably because I love strawberries. A few weeks ago I shared Gluten Free Strawberries and Cream Pancakes. 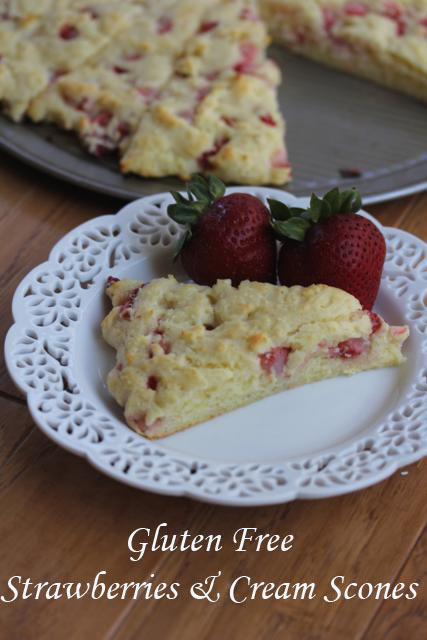 We loved those pancakes so much that I decided to take those flavors and turn them into scones. And they turned out great! Mix the gluten free baking mix, sour cream, milk, and egg. Stir until just combined. Press dough onto a greased cookie sheet or pan. Bake at 425 for 11-12 minutes. If your family is anything like mine than they love pizza. Gluten free pizza though can be a bit tricky to get right. It is often too doughy or too grainy or nothing like the pizza we all remember. It does not have to be that way though. 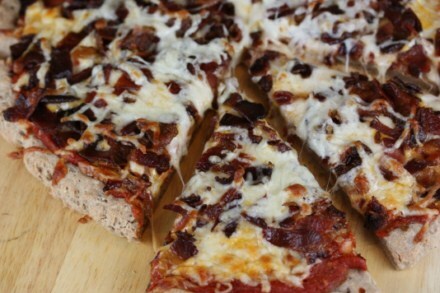 Gluten free pizza can be easy and delicious! One of my favorite recipes in The Gluten Free Baking Mix Cookbook is the recipe for the pizza crust. It is hard to pick a favorite from the ebook because I love them all, but I find myself turning to the pizza crust recipe all the time. 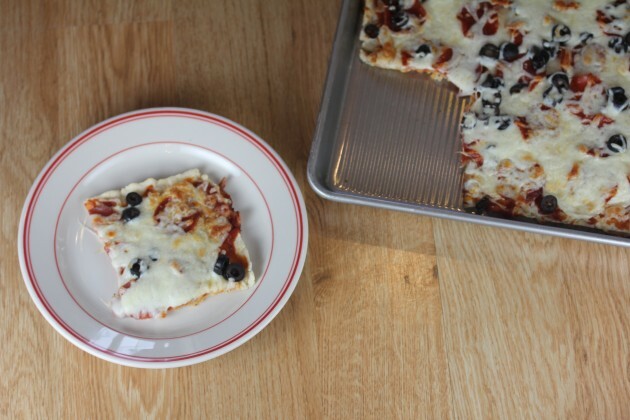 It is quick and easy to make and it helps me get pizza on the table in no time. And my whole family loves it. Basic pepperoni pizza is good and as long as your pepperoni is gluten free it works great. We eat it often with just pepperoni. Today though I wanted to highlight a few of my family’s other favorite ways to eat pizza using the easy baking mix pizza crust. Bacon Pizza anyone?! Seriously this is so good! I mean really how can you go wrong with bacon and cheese on a pizza. 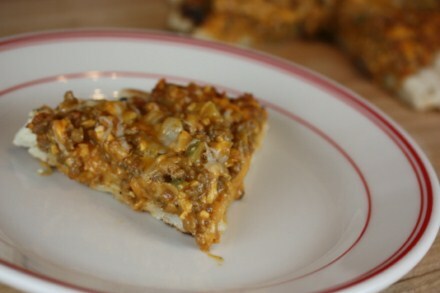 Cheeseburger Pizza is another favorite pizza at our house. It is a little different than your normal pizza, but it is very good. 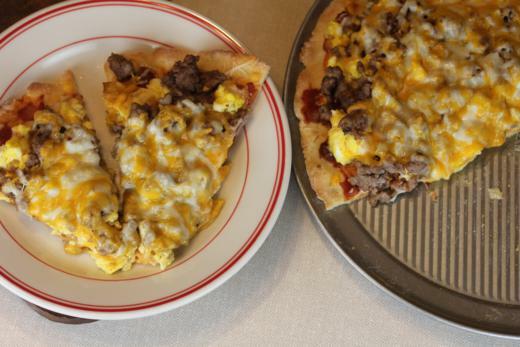 And breakfast pizza is perfect for breakfast, lunch, or even breakfast for dinner. My kids love breakfast pizza. What is your favorite way to eat pizza? 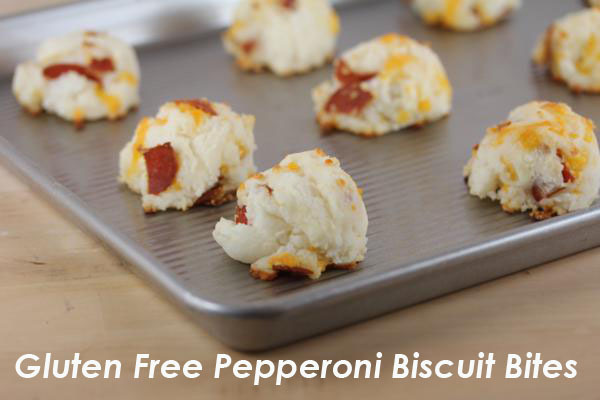 My kids love these Gluten Free Pepperoni Biscuit Bites for breakfast, lunch, or dinner. The first batch that I made of these were gone in no time. I made extra to freeze and they were also gone in no time. This is another one of those recipes that no one will know is gluten free. So easy. So good. And so gluten free! In a bowl mix together biscuit mix and buttermilk just until combined and dough forms. Stir in pepperoni and cheese. Bake for 8-10 minutes or until done.